As you all know, I really love my students and iI’m so happy that my studio is full of kids and adults that I really truly enjoy being around. This is one of the joys of being an IMT (Independent Music Teacher;) that you can choose the students that best fit into your studio. That being said, some of my students used to come obscenely early…not just 5 minutes, but 30 or 60 minutes early! I am a very nice person and used to always say YES come on in and you can wait but this poses many problems. Liability: If your students are left alone in your house or studio and something happens, what will you do? I have had rowdy students literally knock pictures off of the walls! What if an object is broken or destroyed? I personally always have my keyboard open and my many Violins and Viola hang on the walls. A former violin teacher of mine had some serious damage done to her instrument by one of her children playfully tossing a pencil. 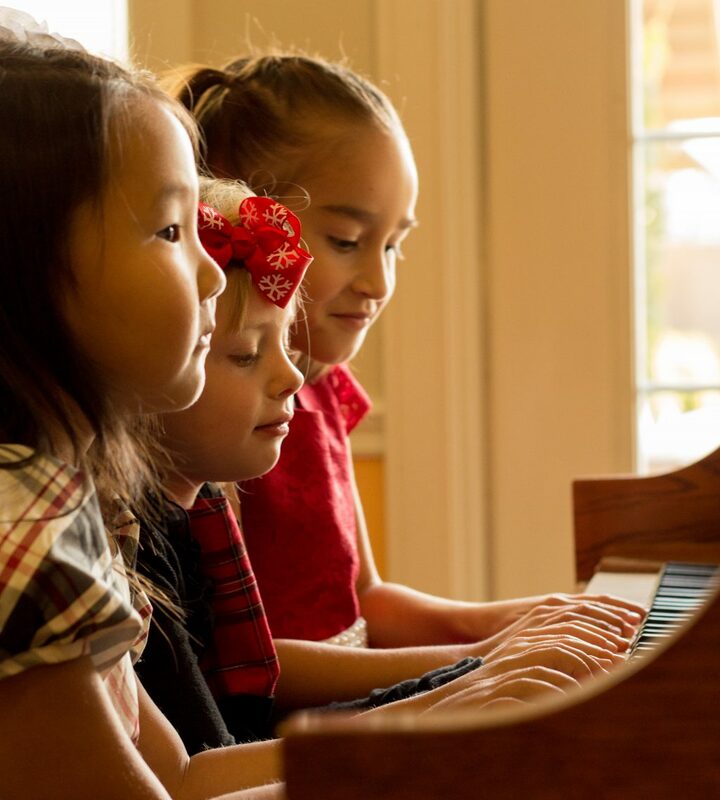 Also your insurance company wouldn’t be thrilled to hear that your piano or violin students were hanging out in your studio unchaperoned! Interruptions: If you teach back to back lessons like I do, then you may like THIS blog post as well in which I discuss interrupting students and parents and why I teach back to back lessons. Unhappy teacher: If your students don’t abide by your policy then that can make you a grumpy teacher. 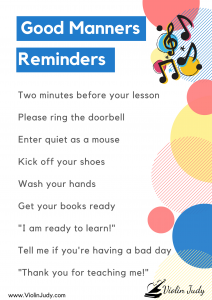 It’s important to remember that the responsibility for coming early or being picked up late lies with the parent or adult but I always gently remind my students of my policy as well if there are any issues. A few years ago I changed my policy so that students could not arrive sooner than 2 minutes before their lesson. Now, thanks to a great post I read from Wendy Stevens of ComposeCreate.com here I use a handy stick-on automotive clock to remind my students what time it is, and the visual reminder has worked so well for my studio! Wendy always has great free ideas in her blog for teachers and I may be just a big prejudiced because I actually went to college with her and more than one MTNA convention. What a motivated woman! If you would like to print this to put on your studio door or front door (i have mine hanging inside my studio because of security and safety concerns :)) here is what I’ve made and am willing to share it with you! 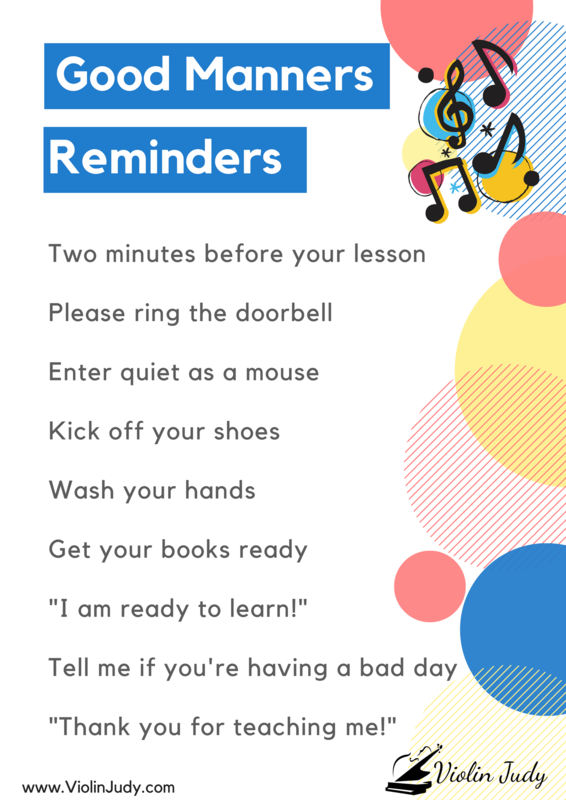 This free printable was available in a past teacher newsletter-if you’d like a copy please put your email in the comments and I won’t publish it and get you this .pdf right away! Thanks! Thanks for reading my blog, I really appreciate your comments as well and if you’d like the free printable mentioned above, be sure to sign up for my monthly emailed newsletter just for teachers in that annoying popup box! If you’d like a really easy way to refresh your studio please check out my 60 Day Makeover: Music Teacher Edition which is available to read on any device (kindle, ipad, PC, laptop) from amazon. Information about the low cost, confidential teacher consulting I offer can be found here: Please note that my blog posts do contain amazon affiliate links. Proceeds go to the maintenance of this website. Thanks!